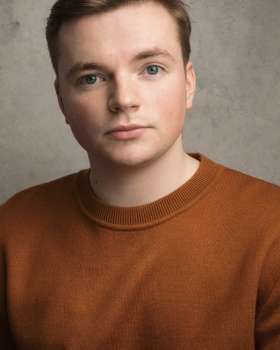 Charlie Chambers is an ALRA Graduate (2018). Whilst at ALRA he has been fortunate to play such parts as Yegor Timoveivich in Dying for It, Polixenes in Winters Tale, Piggy in Lord of the Flies, Trigorin in The Seagull, Eddie Carbone in A View from the Bridge and his moving performance as Jack Twigg in Dr Scroggy’s War. He has already worked professionally, playing Shaun in Where the Mangrove Grows at Theatre 503 directed by the brilliant Tamara Harvey and spent five years playing Ben Mitchell in Eastenders. Charlie has recently completed filming on Malorie Blackman's Noughts and Crosses, playing the role of Danny Tresca.